The HIGHGATE bench is designed with performance, looks & user comfort in mind. The bold cast aluminium, neo-classic forms make it well suited to formal park & garden settings, as well as 19th & early 20th century architecture. 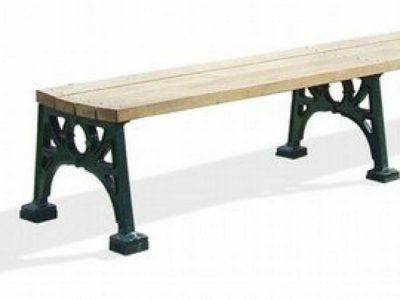 Customising the HIGHGATE bench with your custom crest, logo and/or commemorative plaque is an available option, please enquire. A centre cast support is optional on the 1800mm long version of the bench, while the centre cast support is standard on the longer length benches. The HIGHGATE Bench can also be supplied as corner or circular group sets—e.g. encircling a tree tree or in a hexagonal ring group.